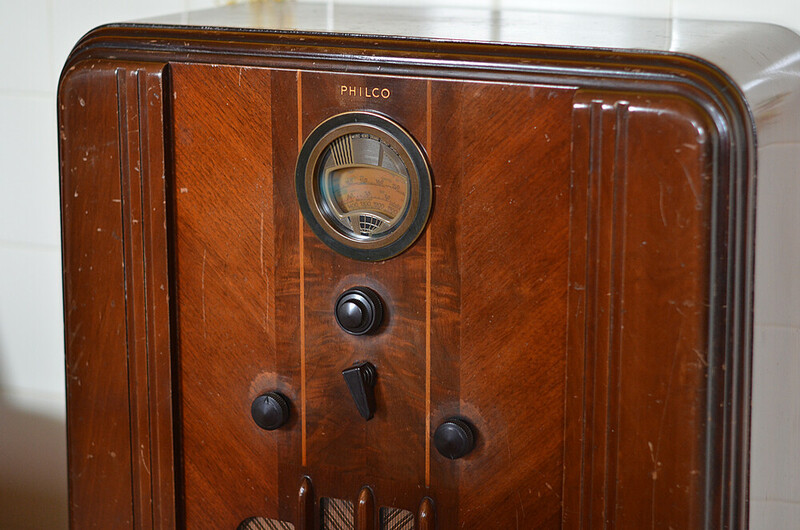 252/365 :: Ivan's Grandma's house was recently sold so we gladly took this old radio while we were emptying it. It still works! 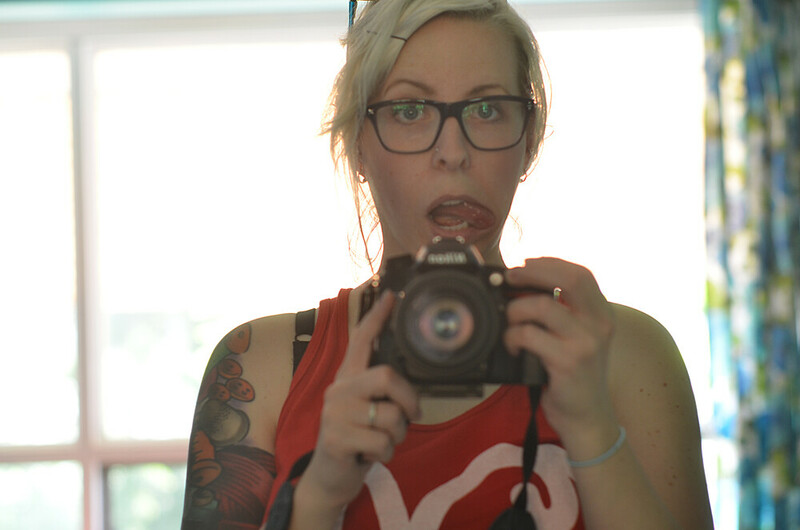 253/365 :: Whoa, my tongue looks scary and kind of gross in this photo. I just noticed that. Anyways, it was unbelievably hot on Tuesday and I was melting. 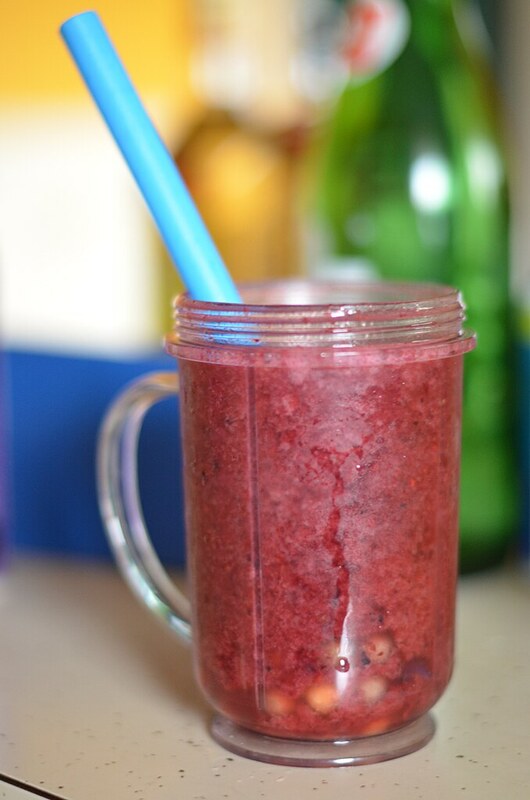 254/365 :: I made myself some bubble tea...sort of. It actually wasn't that good. I was impatient and didn't cook the pearls long enough and then I didn't really sweeten it at all and the berries were a bit tart. Better luck next time self. 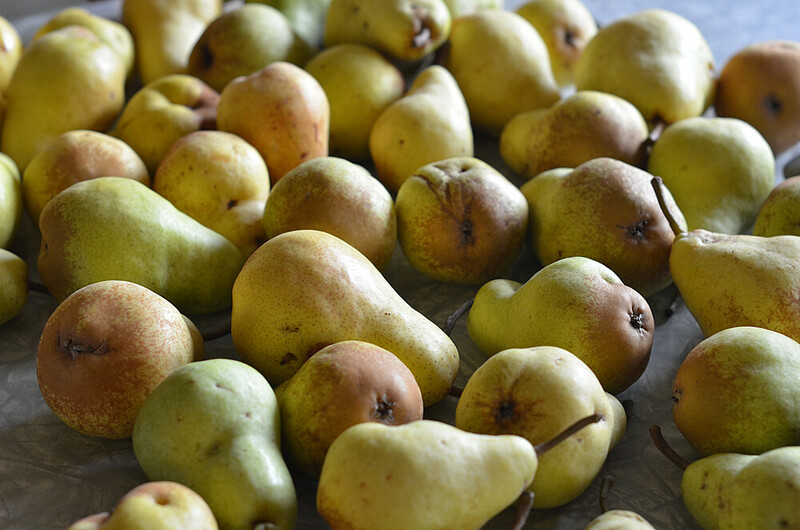 255/365 :: Do you like pears? Want some? We have tons from our tree. I made muffins, cookies and the most delicious pear pie ever! I'm going to make more of everything and freeze a bunch of stuff as well as hopefully can some pears this week. 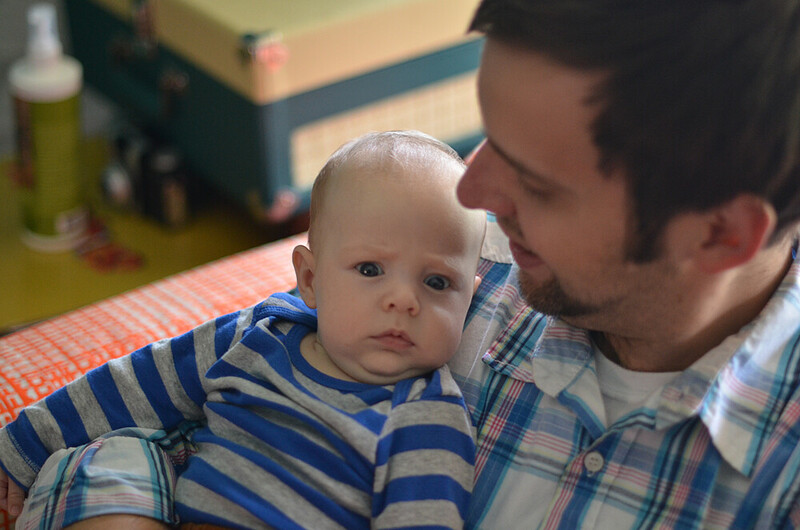 256/365 :: Aww, Mom! I got some really cute striped shirts for Milo for the cooler weather. And they are a bigger size. He's growing so fast! 257/365 :: So...this is an iPhone photo and I'm totally ok with that. We had a crazy Saturday and I left my camera at home. We were major party animals and didn't get home before midnight! 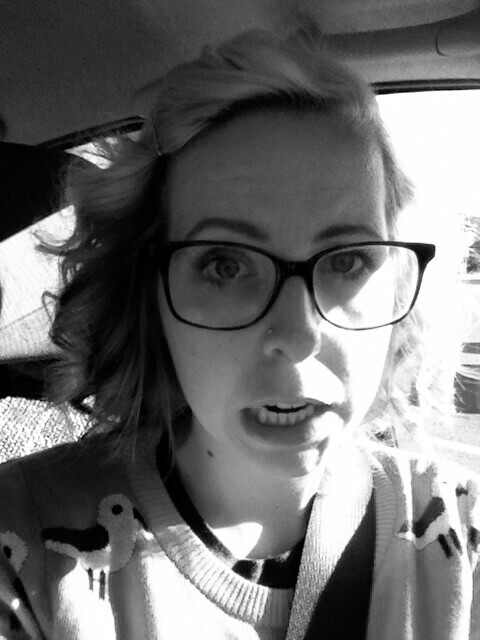 Also, I just tried out the headband method for curling my hair again and I like it! 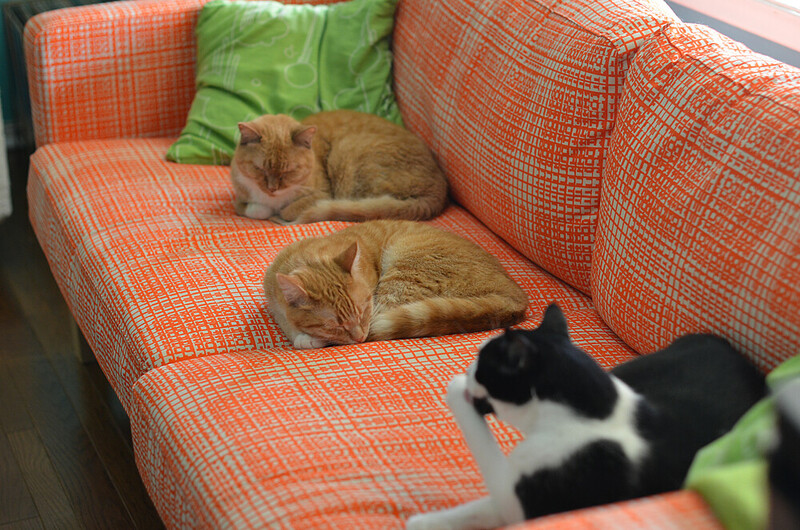 258/365 :: I walked inside to find all of the cats on the same couch so of course I had to take a photo. This doesn't happen often. We had kind of a busy weekend and the weather was beautiful. It is starting to feel like fall around here...pear pie helps. oooh!! 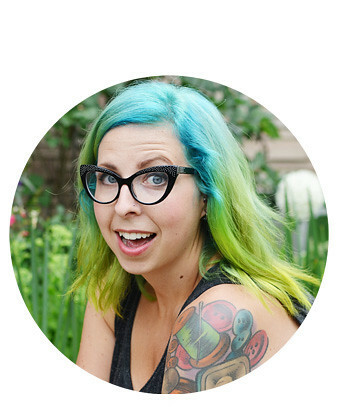 I love that radio + all your cats on the couch is perfect!! I wish our cats would lay close together like that!! Are you going to make an album or scrapbook at the end of the year? Yes definitely! I'm not sure if I will have them printed into a book with Blurb or just print out the photos and put them in an album. I'm getting excited about doing something with them though! That is one sweet radio thank goodness his grandma kept it all this time! Wish I could take some of those pears off of your hands but they probably wouldn't ship too well to Sask would they? I know! Ha, probably not!! Also, that radio is fab. I have tried and quit before but having a really laid back approach to it has helped. I'm not trying to make every photo this amazing creative thing, just a snapshot of my day. Woah, that radio looks amazing!